Includes primary sources about Afghanistan, China, Japan, and Vietnam. Tiananmen Square and U.S.-China relations, 1989-1993. Manuscripts, scrapbooks, diaries and other papers collected by Edward Sylvester Morse (1838-1925), one of the first Americans to live in Japan. This digital collection provides English-language sources relating to China and the West, 1793-1980, which can be accessed online and used in the classroom or in course packs. The first and the largest online database for study of the Cultural Revolution in China from The Chinese University Press. Includes select editions of Statistical abstract relating to British India, 1840-1920; maps; bibliographies and reference materials; and images relating to India and South Asia. British Foreign Office files dealing with China, Hong Kong and Taiwan between 1919 and 1980. Includes diplomatic dispatches, letters, newspaper cuttings, maps, reports of court cases, biographies of leading personalities, summaries of events and diverse other materials. Covers from the foundation of the East India Company in 1615 to the granting of independence for India and Pakistan in 1947. here are original Indian manuscripts containing histories and literary works, as well as accounts of wars, discussions of Indian Nationalism and papers of tea and coffee planters. Official voice of the central government of the People's Republic of China. For the last over 60 years, the People's Daily has published daily issues that provide the single location where the central government and the Communist Party of China announce their respective policies and disseminate governmental, political, and economic messages to the public and the world. Most importantly, since its inception the newspaper has been the true barometer of the political climate of Chinese society on a daily basis. Also consider news sources from outside of Asia that would have significant reporting about Asia. News sources from most Asian countries. Coverage is generally from the late 1990s to the present. For when you need a little help with your reading and translations. Select a language from the tabs above for links to print and online language dictionaries. Widely recognized as an authoritative and professionally compiled standard dictionary of the Chinese language. This 12-volume, Great Dictionary of Chinese Language is lexicographically compared to the OED and covers usage from classical texts to modern slang. The Great Encyclopedia of China, a 73 volume masterwork representing the first large-scale and comprehensive modern encyclopedia in China. The following are print Chinese-English dictionaries available in the 2nd-floor stacks at Howard-Tilton. Talking Chinese Dictionary and Instant Translator by Manser, Martin H., et al. The following are print Japanese-English dictionaries available in the 2nd-floor stacks at Howard-Tilton. 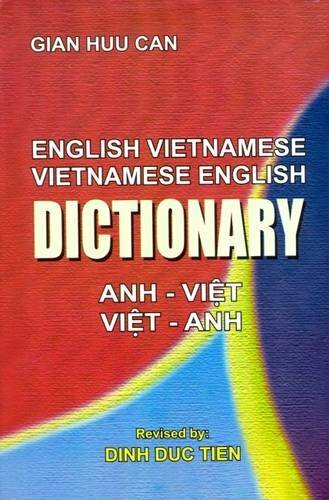 The following are print Vietnamese-English dictionaries available in the 2nd-floor stacks at Howard-Tilton. Image is of 2002 edition.